Oily skin can cause to acne and unwelcome shininess. Instead of using expensive skin care products, try some natural remedies and treatments for oily skin. They help protect your skin against chemicals from commercial products while giving you clear effectiveness and preventing skin aging, skin disorders, even skin cancer. Oily face skin can be controlled by washing your face properly. Foremost, keep your face clean by washing it twice a day. According to some doctors, you should use detergent-type face washer to cleanse excess oil from your face. However, some dermatologists say that detergent washer is too harsh for facial skin. So, to protect your skin before removing oil from your face, choose a glycerin-type washer. This is an effective technique to clean the dirt and oil from skin pores on the body and face. First, boil water and pour it in a large bowl. Next, take a clean towel and cover your face with it that allows the steaming water to pass over your face skin. Close your eyes not to touch too hot water as it can give you skin irritation and burn the skin. The steam can make a contact with your skin, open the skin pores to release oil and dirt, make the skin softer. Next to a common way on how to remove oil from face, consider exfoliation. By exfoliating your skin once a week, you can get rid of excess oils on face while toning your skin naturally. Because there are a lot of dirt and bacteria sticking to the oily skin, so use a good exfoliate that can help remove your excess oils on your face skin. Be abrasive, yet in a gentle way. You can add 1/2 teaspoon of baking soda into your exfoliant and water. Gently rub your skin with this mixture, especially onto the oily areas such as your chin, nose or T area. This abrasive acts well to help you get rid of extra oil as well as blackheads on your face. Then, rinse off with cool water. Beside this simple way on how to remove excess oil from face with baking soda, you can learn a variety of other exfoliating recipes for eliminating oils from your face in the second part of this article on our VKool site. Check out all of these recipes below. Besides exfoliating your face once a week, you can give your skin a light scrub that also helps in removing surface oil. Try making your homemade honey almond scrub to remove excess oil on your skin effectively. Mix a little amount of ground almond with honey. Gently massage this paste onto the skin with a hot towel. Leave it there for about 15 minutes. Then, rinse it thoroughly. In another way, you can make a DIY scrub by mixing aloe vera with oatmeal. When it comes to effective ways on how to remove oil from face, pay more attention to your diet. The food you eat can affect your skin condition. 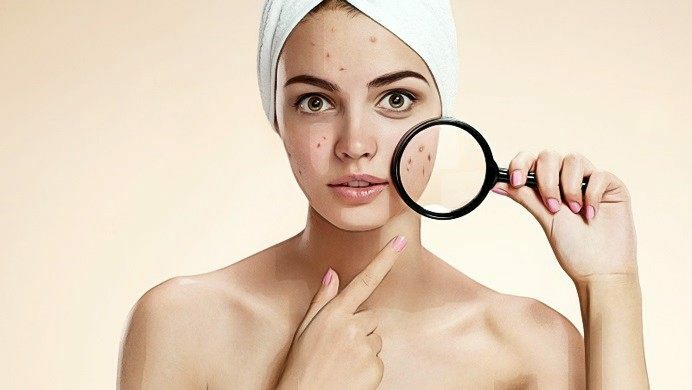 To control excess oil on your face, avoid fats and too much spices in your meals as the foods aid in releasing more extra oil on your face, cause acne and skin inflammation. Instead, consume more healthy vegetables and fruits that provide extra nourishment to your skin and overall health. To absorb extra oil on skin, you can wipe it with natural astringents. For instance, you can combine acetone and alcohol. They are also ingredients present in some facial washer like Seba-Nil Liquid Cleanser. These ingredients help degrease the skin as like expensive astringents. Besides, you can carry paper facial tissues that can soak up your excess oil in a pinch. In addition, chilling out with ice also helps rinse off excess oil on your skin. If you hate to use chemicals for your skin, splash your face with ice for twice a day in order to remove some excess oil on your skin. 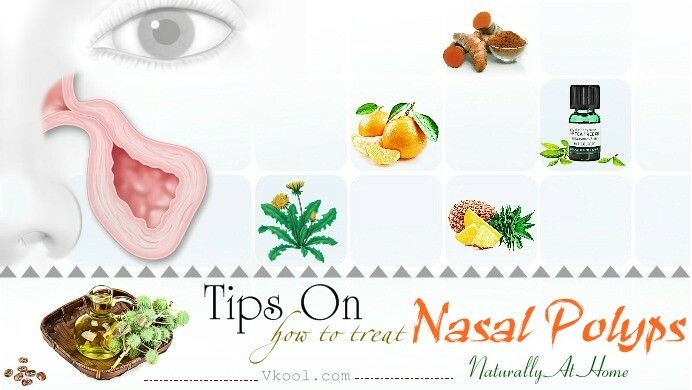 Next to important ways on how to remove oil from face, keep your face being moisturized. Though you have oily skin, you still need to supply your skin with enough moisture. So, use a moisturizer for your oily skin but opt for oil-free moisturizers. If your skin is lack of moisture, it will look dry, the oil production will not be improved and your skin will get darker with more dirt, oil and fine lines. By supplying the skin with enough moisture, you will be able to improve your skin health, then it will be easily for you to solve with extra oil on face. Among natural ways on how to remove oil from face, consider exercising. By doing exercise daily for 30 minutes, it can make your sweat glands active. The sweat will come to the skin via skin pores. Dirt and extra oil therefore will be washed away from the pores. As a result, your skin will be free from excess oil and make your face look clean. In addition, you can rub ice on your face to tighten your skin pores while limiting excess oil and reducing wrinkles on the forehead and other areas on your face and neck. Don’t you know that stress is one of factors that cause extra oil on your face? To improve this skin condition, try to have good sleep, get rid of stressor from work, study, family and so on. Do yoga, try meditation, or practice any relaxation techniques to get balanced. Then, you will be happy, balance your life and health to have healthier skin. As a result, your excess oil on skin will also be improved significantly. Among hidden tips on how to remove oil from face, makeup can indirectly affect your oily skin condition. You need to pay more attention to caring your skin after a makeup. Makeup layer can stop oil from coming to the skin surface. So, the oil will be locked into skin pores that cause pimples. At first, remove your makeup properly by washing your face with a balanced PH washer, then applying a moisturizer to your skin before your bedtime. Next to simple yet effective ways on how to remove oil from face, learn to make homemade recipes to remove excess oil from your face. Here are the top recipes with natural ingredients, check out them below! Oatmeal is an excellent ingredient to both absorb excess oil and exfoliate the skin. Mix ½ cup of oatmeal with an egg white, a teaspoon of lemon juice or honey. Apply this mixture on your face, leave it on for about 15 to 20 minutes, then wash off. Do it once per day, in the morning or before your bedtime. The oatmeal helps absorb excess oil while the egg helps firm up the skin, the honey helps sooth the skin and the lemon helps tighten your pores as well as tone your face skin. Toss out commercial toners and make use of witch hazel to get rid of excess oil on your face. Witch hazel can act like an astringent. It can dry up the oil, shrink the pores on your skin. It is derived from the bark and leaves of a shrub from North America. Dab witch hazel on your face with a cotton pad 2 times per day before the bedtime and in the morning. Yogurt or other dairy products can help remove oil, dirt and tighten pores on your skin. They can be beneficial like this because they include acidic compounds that aid in exfoliating your skin and absorbing extra oil from your face. Simply, apply dairy products such as buttermilk or yogurt on your skin, gently rub it and leave it there for about 15 minutes. Then, wash off with warm water. To enhance the results, you can add oatmeal, green tea, organic honey or orange juice or mashed strawberries with dairy products. Among the most popular ingredients to remove greasy oil from face, this is lemon. This fruit is widely used as a natural skin washer because it contains citric acid and vitamin C, which help remove excess oil and give you a fairer looking. Cut 1 fresh lemon and extract the lemon juice. Dilute the lemon juice with cool water and apply this to the skin. Gently rub it over your face, then wash it off with cold water. Remember to add more water to the lemon juice in case the juice causes burning on your skin. This homemade remedy helps remove extra oil and moisture your skin. Hence, provide adequate moisture for your face in order to prevent the buildup of extra oils. Beside using lemon alone, or combining this citrus fruit with oatmeal, you can mix it with rose water and glycerin to remove excess oil on skin effectively. Mix equal portions of all the ingredients with each other well. Apply the mixture on your face. Leave it on for about 15 to 20 minutes. Then, wash it off. You can store the maintaining on a bottle and put it into the fridge for future use. Lemon contains antibacterial agents so that this fruit is perfect for oily skin, while rose water includes antiseptic properties so that this is an excellent washer and toner to give you clean and fresh skin. Also, glycerin helps hydrate your skin by moistening your skin properly. Apply this mixture on your face twice or three times a week to get rid of acne, oiliness, pimples and scars on the skin surface. Next to easy to follow ways on how to remove oil from face, try making your own facemask with gram flour. Mix gram flour with a little rose water to have a thick paste. Then apply the paste to the face. Rub it in the circular motion for about 5 minutes. Then rinse of with cold water. While gram flour helps soak oil from your skin and making it less greasy, rose water helps tighten the pores and control your excess oil on face effectively and naturally. Aloe vera gel is high in moisture, skin cleansing extracts, antimicrobial properties and antioxidants so that it helps reduce the greasy of skin. Extract aloe vera gel (avoid the peel) and apply the gel to the face. Leave it on for about 20 minutes. Then, rinse it off with cool water. Beside using natural aloe vera leaves, you can buy aloe vera gel washer for removing sticky oil on your face. Dab the aloe vera gel onto the face twice to three times a day after washing face. To get cooler, keep the gel in the fridge in certain time before using. Both the yolk and white of eggs are useful for removing oil from skin. First, make use of the egg yolks. Mash an egg yolk and apply it on your face. Leave it there for 15 to 20 minutes or until it dries. Finally, rinse it off with warm water. To remove excess oil with the egg whites, whip 1 egg white and apply it on the face. Let it dry for about 15 minutes. Then, rinse it off with water. Repeat it twice per week. The egg whites are rich in vitamin A so that it can help dry out your skin blemishes, tighten and tone up your oily skin effectively. To enhance the effectiveness of this remedy for your oily skin, add a little lemon juice and apply this mixture on the face. 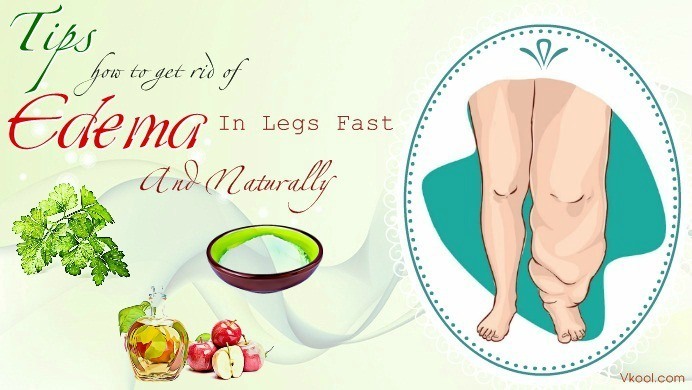 This will help soak up your excess oil while tightening your skin faster. Next to another powerful way on how to remove oil from face, don’t forget baking soda. This is an easy to find ingredient in the kitchen of every family. Like the gram flour recipe for removing oil from face, you just need to mix rose water with baking soda and apply the mixture on your face. Let it stay on your face for about 15 minutes. Then, wash it off with warm water. Do this several times a week and notice your smooth and clean face without excess oil. Milk is not only good for your health but also for your beauty. To remove excess oil on your face, apply milk remedy daily to balance the natural pH on your skin while enhancing your softer and suppler complexion. In fact, milk contains alpha hydroxyl acids so that it helps exfoliate your skin gently, and remove dirt and extra oil from your face. To get better result, mix 2 tablespoons of milk with 3 drops of lavender oil. Then apply the mixture to the skin with a cotton ball. Next, massage your face gently for a couple of minutes. The massage helps improve the blood circulation on your face, tone your kin and control oil production on your face. Do it before going to sleep to relax your face muscles and easily fall asleep. Next to effective recipes on how to remove oil from face, try combining gram flour, lemon, turmeric and milk to have the perfect treatment for your oily face. Prepare 2 tablespoons of gram flour, 5 drops of orange or lemon juice, 1/2 teaspoon of ground turmeric powder, 2 to 3 tablespoon of fresh milk and fresh water if needed. Then apply this paste on your face. Leave it for about 15 to 20 minutes. Finally, rinse it off with warm water. This remedy acts like a natural exfoliant for oily skin. This helps remove dead skin cell from the face surface and give you a clean appearance. Apple is not only good for health but also useful in beauty. But, how to make use of this great fruit for removing extra oil on face? The simplest way is to grind it. Then, add several drops of orange or lemon juice to the apple paste. Next, apply the paste on your face. Leave it on for about 15 to 20 minutes. Finally, rinse it off with cool water. Do it twice or three times a week and notice your enhanced beautiful facial skin. How to remove oil from face with cucumbers? Simply cut an organic cucumber into thin slices. Rub them on the face. Leave it on your face for about 30 minutes or leave it overnight. Then, rinse it of with cool water. Do it daily after washing your face or before going to sleep. Cucumber helps in removing excess oil without causing dry skin. This remedy is extremely good for sensitive and oily skin types. Cucumbers contain anti-inflammatory and soothing agents. In addition, this fruit acts like an astringent, with high mineral and vitamin content such as magnesium, potassium, vitamin E and vitamin A so that it is really good for oily skin, reduce sunburn and lighten freckles. Orange as well as other citrus fruits can help refresh the body skin and reduce excess oils. Mix equal parts of water and lemon juice, then pat the mixture on your face. Let it dry for about 20 minutes. Finally, rinse it off with warm water. On the other hand, you can mix ½ teaspoon of orange juice with 1 teaspoon of cucumber juice. Apply this mixture on your face for a few minutes after washing your face. In another way, you can grind orange peels; add 1 or 2 teaspoons of orange juice to have a thick paste. Apply the paste on your face for about 20 minutes. Then, wash it off with warm water. This mixture with astringent properties helps prevent the buildup of oil on your face effectively. Beside citrus fruits on how to remove oil from face, you can make use of papaya remedy to enhance your healthy skin without excess oil and dirt. Make an oil removal facial mask with papaya and apply it twice or three times a week. Enzymes present in this fruit can make the skin clear and clean. To enhance the result, steam your face first, then apply the papaya mask on the face. Papaya is suitable for different skin types, especially oily skin. This fruit contains enzymes that assist in exfoliating skin, reduce wrinkles, remove dead skin cells, repair skin discoloration and bring you youthful skin. If possible, add a few drop of fresh lemon juice to your papaya paste, then apply it on your skin that is to give you glowing skin. Last but not least in homemade remedies on how to remove oil from face naturally, try applying tomato oil removal facial mask. This mask helps reduce enlarged pores while handling your oily skin thanks to its natural astringent agents. Mash a ripe tomato, then apply it on your face. Massage it a few minutes and leave it on for about 15 minutes. Do this twice or three times a week. Then, you will notice your toned, healthy and flawless face by eliminating the appearance of oil, acne scars and blemishes. I’ve shown you the complete list of 26 effective ways and recipes on how to remove oil from face naturally at home. Hope that you can make use of all these tips and enhance your beautiful face skin without embarrassing extra oil. For any idea about this article on how to remove oil from face at home, drop your feedback at the comment box. Thanks for reading and see you in the related articles soon.